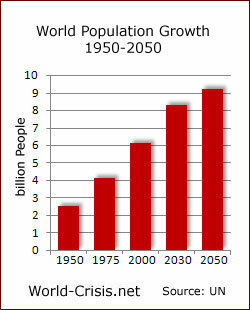 By the year 2050 the global population will have grown to about 9 billion, according to some estimates. How can Mother Earth sustain this growth? 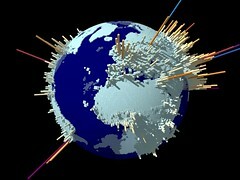 Is our Planet overcrowded? Are we heading for massive extinction? How can Mother Earth sustain this growth? I think the above questions echo the concerns of many people about the growing world population in view of the apparent limited supply of resources and hunger in many regions. My understanding is that human ingenuity and technology have enabled people to harness energy resources, and grow more foods, and are capable of solving hunger problems. I think one area of challenge is in the distribution of food to those areas that need it the most. “Hunger is caused by poverty and inequality, not scarcity. For the past two decades, the rate of global food production has increased faster than the rate of global population growth. The world already produces more than 1 ½ times enough food to feed everyone on the planet. That’s enough to feed 10 billion people, the population peak we expect by 2050. But the people making less than $2 a day — most of whom are resource-poor farmers cultivating unviably small plots of land — can’t afford to buy this food. I agree that sustainable farming methods (and reforms in food distribution) are necessary steps to address world hunger, as long as it does not involve any cultivation of GM food (despite its promise of higher crop yields), due to its adverse effects of human health and the environment. “In the near future, however, families in wealthier countries may decide to prolong or reconsider having children due to the economic recession. “The little bit of an increase we’ve seen may peter out,” said Carl Haub, senior demographer at the Population Reference Bureau. But Haub said the observed increases in industrialized-world fertility rates will have a relatively minor effect overall – populations are expected to decline over time if average fertility rates remain below 2.1, which demographers consider the stabilization rate, absent net migration. So, many developing countries (in Africa, Asia, Oceania and South America) are still experiencing rapid population growth and need to implement family planning measures through education and policies to discourage families from having too many children. On one hand, high fertility rates can be seen as a positive thing as it means better healthcare and higher standard of living has resulted in low infant mortality rate. Besides, the farming culture in developing countries usually encourages having 3 or more children to help out in farms. On the other hand, the challenge is in ensuring enough resources to support the growing population in these countries. Usually, due to rural-urban migration in developing countries, when more people adopt city life in big cities, they will naturally tend to have smaller families, as they don’t need many helping hands since they no longer live in farms, and people living in urban areas are usually too busy with work and family life to have many kids too. So, besides education on family planning, sometimes natural forces play a part in the human evolutionary process in rural-urban migration, that result in families naturally making decisions to have fewer children due to various constraints presenting themselves over time.